What Role Does Inflation Play in Reserve Studies? Inflation is generally defined as the rise in the cost of living. Regarding reserve studies, inflation is probably the most variable or speculative component. Even when a reserve analyst is preparing a report and has a good handle on current costs for reserve items, he has no control over predicting future inflation. Inflation can vary widely over a range of years. Regarding the last 20 years (1992-2011), the average inflation rate is 2.55%. A community has 100,000 square feet of asphalt shingle roofing on their new residential buildings. The residential buildings’ roofs have an expected useful life of 20 years and the current cost per square foot of roofing is $3.00. So, the current cost to replace the roofs would be $300,000. 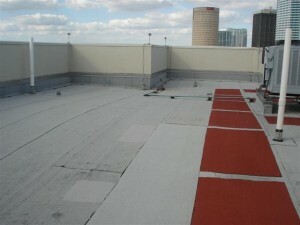 When determining the future cost of the roof, inflation factors are incorporated onto the current cost. If 2.00% inflation is used, the cost to replace the roofs in 20 years would be $445,784. If 3.00% inflation is used, the cost to replace the roofs in 20 years would be $541,833. The 1% difference in inflation resulted in a difference $96,049, or an increase of 21.5%! Even on a yearly basis, $96,049/20 years = $4,802 a year in necessary funding, based on the difference of using an inflation factor of 2% or 3%. As noted above, it is very difficult to predict future inflation. Looking at the chart year-by-year does not show an exact trend. That is why the use of statistics is necessary. By figuring out the average or median rate of inflation over a 20 or 30 year horizon, the reserve analyst can make an informed decision over the course of the reserve study. The example above also underscores the point of updating and changing a reserve study as necessary. A reserve study is almost like a living, breathing organism. Reserve study updates should occur every 3-5 years in most associations. If there have been major changes in the community, they should happen even sooner. Economies, inflation rates, and interest rates are always changing. Construction materials change as well. The type of material the community used last time or was originally built with may not be the same material that it gets replaced with. Managing your association properly requires keeping up with the economy and relaying how those economics affect your association.